After the strawberry picking adventure a couple weeks ago, I happily ate the fresh berries but with a huge bucket to myself, I wanted to find another way to enjoy them. 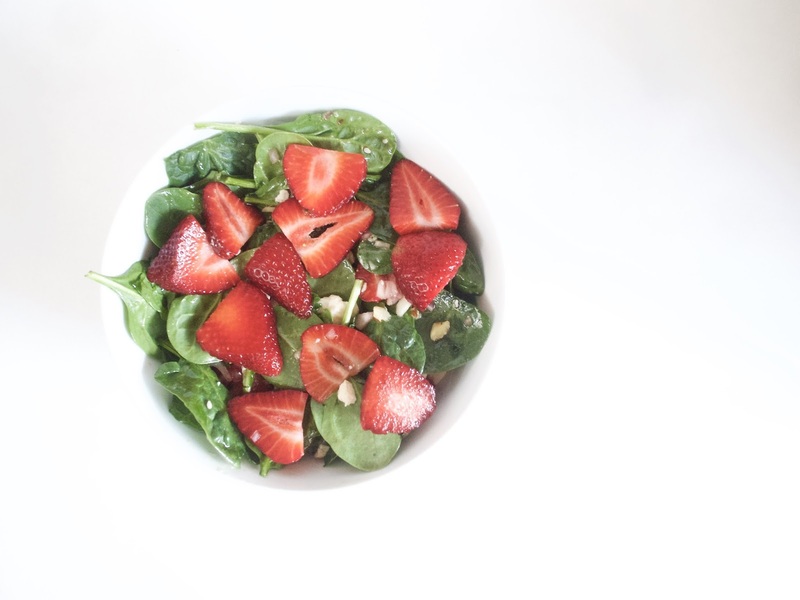 I (surprisingly) wasn't in the mood to bake with them but then remembered a delicious salad I had so many years ago that I wanted to recreate. About six years ago, I helped a friend assemble this salad to take to a potluck. She said it was a secret family recipe but I after some googling, I easily found it online (Sorry, C). And it's pretty common in salad bars and even at Panera (but was totally new to me back then). And poppy seeds are probably what make this dressing so classic. But when I went to my local HEB to buy some in bulk, the employee told me he had just refilled the poppy seed jar (which was pretty big) and some guy came and emptied it. And they didn't have any more in the store to refill the jar, again. Who needs that many poppy seeds? The HEB employee thought that guy was doing something else with them. But they aren't totally essential; I loved enjoyed the salad without them and my teeth were also free from any stray ones that might have gotten caught in them. 1. Combine sugar, olive oil, vinegar, shallot, Worcestershire sauce, sesame seeds and poppy seeds (if using) and mix in a bowl. 2. 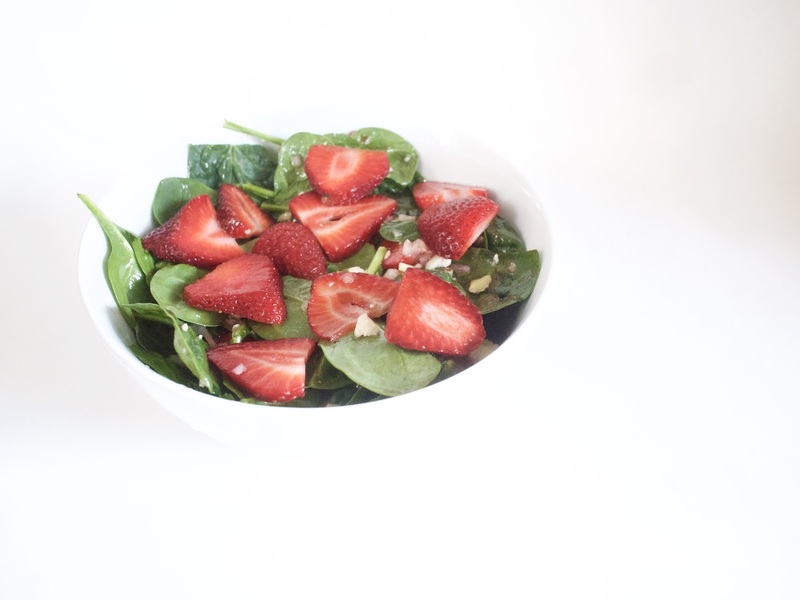 Combine spinach, strawberries, almonds and feta cheese into a large bowl. Add in a tablespoon of the dressing and toss. Repeat until the spinach is well coated with dressing.